As your dog ages, things that were once second nature become an effort. Domesticated animals are living longer, and with longevity you’ll see increases in the odds that they’ll suffer from some form of arthritis. It’s time for a vet visit if you find that your furry family member has decreased activity and is reluctant to walk, run, climb the stairs, jump or play. Or, if you see him limping and having difficulty rising from a resting position, if he yelps or whimpers in pain or begins behaving aggressively or withdrawn. Dog joint pain can be an extreme annoyance — to the point of not wanting to move at all. As a pet parent you want your pooch to have the best quality of life possible. So, when he’s uncomfortable or in pain, alleviating his distress should move to the top of your agenda. Helping your arthritic dog manage this disease is viable when you have a grasp of all it entails. If your dog is diagnosed with arthritis he will most likely require long-term treatment. You’ll need to take him in for regular checkups so that your veterinarian can monitor your pet’s arthritis and make necessary adjustments to his treatment plan. 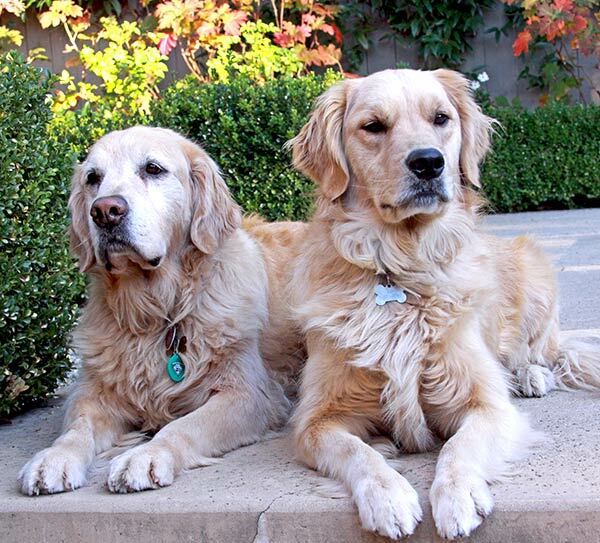 There’s no “cure” for canine arthritis, but there are effective treatments. Your vet may recommend several treatments, such as regular exercise, a change in diet if your pooch is overweight, and/or medications. Additionally, cutting-edge treatments such as stem cell therapy, laser therapy, hydrotherapy treadmill, acupuncture and veterinary rehab have been proven to ease the symptoms of arthritis and help pets live a full, active life. Many arthritic dogs appreciate muscle massages, which stimulate blood flow to atrophying muscles. Certified canine massage therapists are available in most areas of the country; many are willing to demonstrate techniques to owners. Countless joint supplements are available to promote healthy cartilage and joint health. These contain varying combinations of glucosamine, chondroitin, MSM, green-lipped mussel and other chondroprotective substances. A dog with mild, early arthritis can and should get more exercise than an older pooch with severe cartilage erosion. Non-weight-bearing exercise — swimming, for example — is excellent if not contraindicated by other medical conditions. Acupuncture is often used to treat dogs with joint inflammation and arthritis. For example, dogs with hip dysplasia or degenerative joint disease are good candidates for acupuncture, which may alleviate pain and improve joint range of motion. Class IV therapeutic laser is a newer form of treatment that stimulates blood flow to tissues and can greatly improve arthritic conditions. Therapeutic laser therapy uses light energy, which is cold or low-level, to work its magic. The therapy reduces pain and inflammation and promotes the healing of many tissues in the body, including skin, ears, gums, muscles, and tendons. People are already medicating their dogs for pain and anxiety with forms of cannabis and CBD extracts. Dr. Cornelia Wagner, owner of Hawthorne Veterinary Clinic in Portland, OR, is one of the veterinarians opening her mind and her doctor’s office to the idea of cannabis as a safe, effective medicine when dosed properly. CBD oil is a compound derived from the hemp plant called cannabidiol or CBD for short. This compound is also found in medical marijuana and is the reason behind some of its incredible health benefits. CBD is also THC-free, which is what makes it nontoxic for dogs. CBD oil for dogs is a natural anti-inflammatory that helps fight against the inflammation caused by arthritis and other joint problems. CBD also reduces the dog’s anxiety levels regarding pain, which helps them get up and moving around. This keeps your dog’s joints loose and feeling good so they can move about even more. No matter which treatment you and your veterinarian decide on, just having a low-stress environment, plenty of affection, and supportive care can help your dog feel so much better.